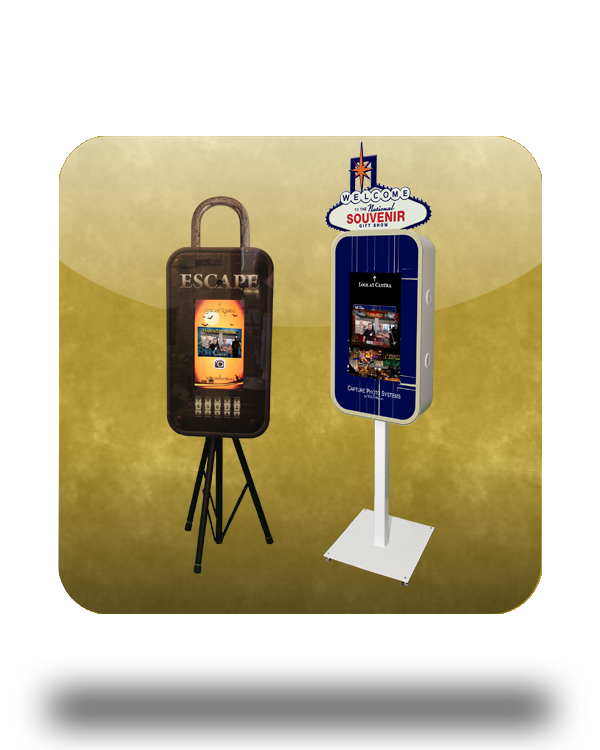 Take advantage of social media popularity with a custom built Photo Booth that reflects your unique brand. The self-operated and easy-to-use software walks visitors through the steps of capturing and sharing their own photo via FaceBook, Twitter, SMS Text, Email and more, while allowing you to gain valuable information from surveys & data collection. Add photo printing for an excellent revenue opportunity. See what a Social Sharing Station can do for your business.